Professor Joan Subirats is currently a professor of political science and researcher and director of the PhD programme of the Institute of Government and Public Policy at the Autonomous University of Barcelona. His research fields include policy analysis, democratic innovation, public participation and local and regional government. Professor Subirats has been a visiting scholar at the University of California at Berkeley, at CIDE-México, at New York University, at the University of Rome and the Prince of Asturias distinguished visiting professor at Georgetown University (2002-2003). 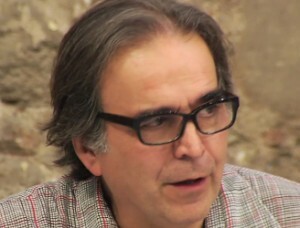 He has published many books including Análisis y Gestión de Políticas Públicas [Public Policy Analysis and Mangement] (2008), Pobreza y Excusión social en España [Poverty and social exclusion in Spain] (2004), Veinte años de autonomias en Espana. Leyes, politicas publicas, instituciones y opinion publica [Twenty years of Autonomies in Spain. Laws, Public Policies, Institutions and Public Opinion](2002) and Redes, Territorios y Gobierno [Territory and Governance] (2001). He is also a member of the editorial boards of several Spanish and international journals of political science and public management and his work has been supported by grants from, amongst others, the European Union, the Fulbright Commission and the German Marshall Foundation.